Spruce up your property with the Barcelona Planter Box. 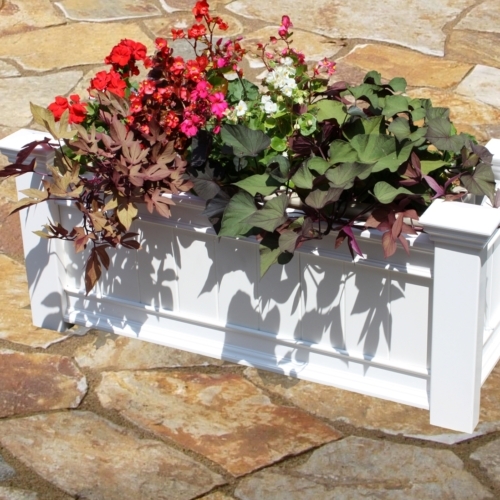 Crafted from premium food-grade, BPA free polymer, your planter will be strong and durable, have beautiful detail, and will never need to be painted or stained – it’s a perfect solution to your potting needs. We manufacture all of our products to create the look of wood without the traditional maintenance. The occasional rinse with a garden hose is all you need to do to keep your planter box looking great year after year. This product comes with an industry-first twenty year warranty against yellowing, warping, cracking, and rotting. Wood will rot away, but vinyl is strong and durable enough to last a decades. 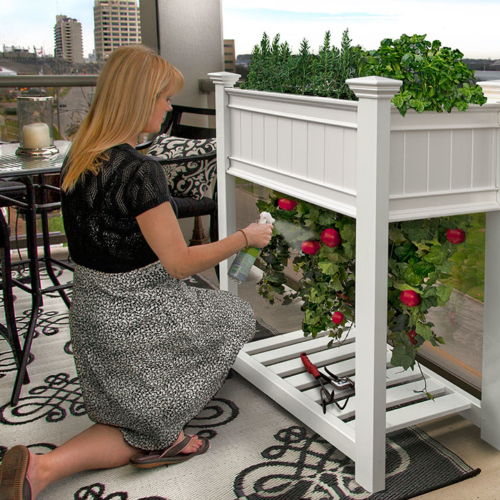 The Barcelona Planter Box is easy to assemble, requiring only a drill.